People never get bored of thinking of new ways to do common stuff. For example, how do you usually eat your popcorn? From a boll? From the bag? Are you using two fingers? Your hole hand? The fellows over at Popcorn Indiana came up with an innovative new way to… eat popcorn. 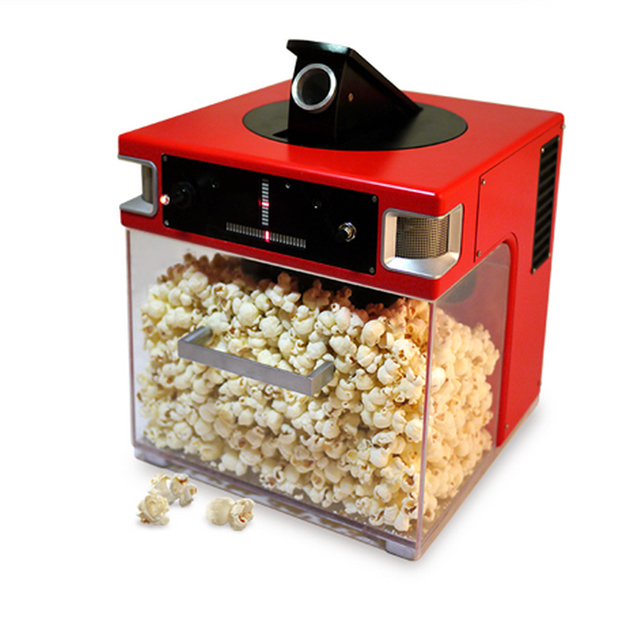 The Popinator is a device that shoots popcorn at you when you say the word „POP”.